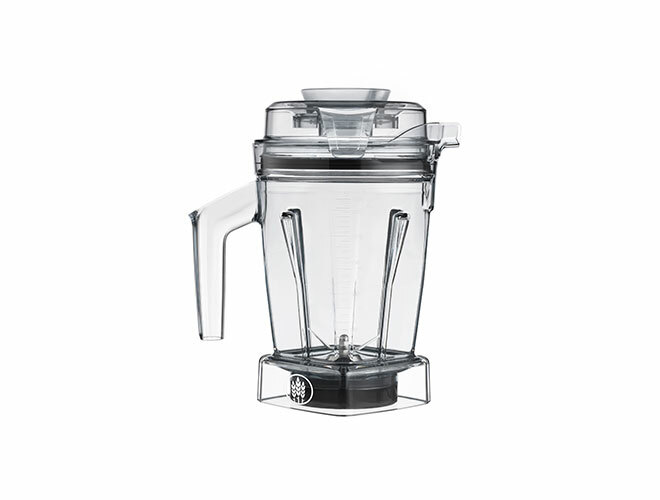 The Vitamix 48-ounce Dry Blade Container with Tamper is designed for Vitamix Ascent Series Blenders. Efficiently grind fresh, whole-grain and gluten-free flour, mix batter, and knead thick yeast dough for pizza, soft pretzels, and homemade bread. The laser-cut, stainless-steel hammermill and cutting blades measuring 2.8-in diameter to ensure a consistent blend every time. 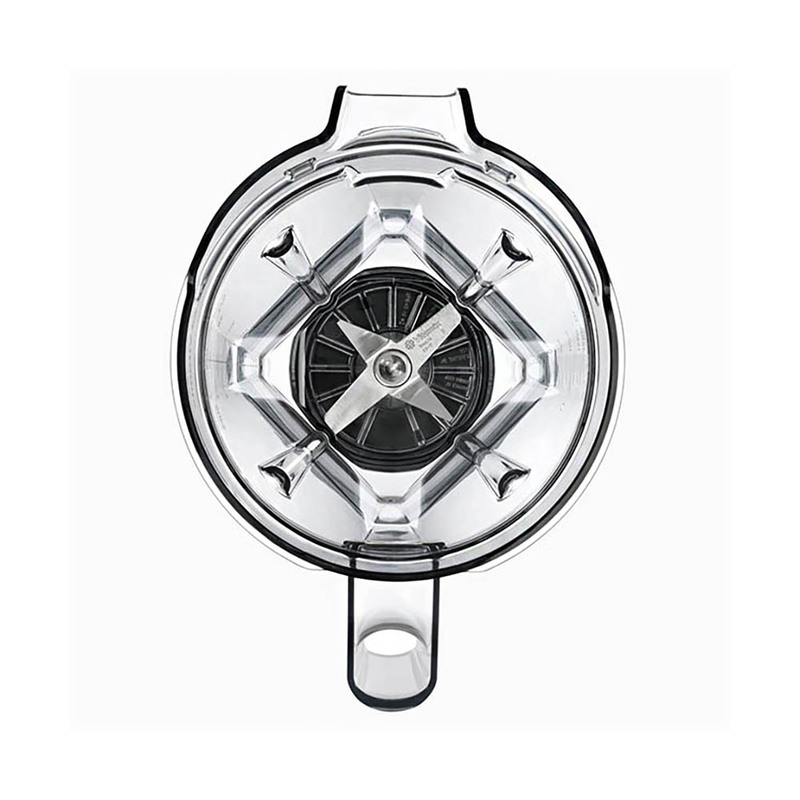 A clear lid with leak-proof seal helps you monitor the progress of every blend. 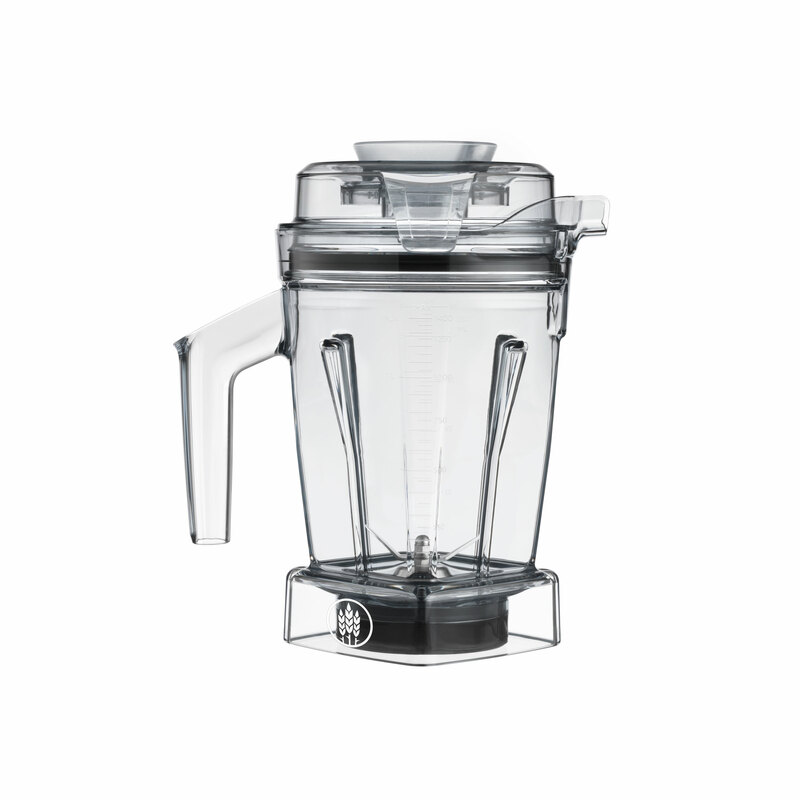 A removable, vented lid plug allows you to add ingredients while blending, and doubles as a 2-ounce measuring cup. 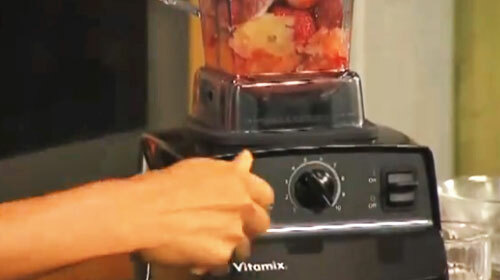 Container and lid are both, or let them self-clean by blending a drop of dish soap and warm water for 35 seconds.